Folks who reside in bear country know that the best way to keep the critters away is to eliminate the source of food, and not to tempt bruins with tasty and odorous morsels. Florentino Acosta, who lives with his family in a Switzer Village, Alaska, mobile home park, is convinced it was the lingering smell of a Lenten fish dinner that enticed a big, black bear into his living room last Thursday. Acosta said he had fallen asleep while watching television when he awoke to find a bear attempting to enter the trailer’s main door. His son, Paul, was shouting, and the two tried to hold the door shut to prevent the bruin from entering. “He overpowered me,” the senior Acosta later told the Juneau Empire. Then, for the next 40 minutes, it was an Acosta vs. Bruin standoff, as the family members chased the bear from one side of the living room to the other, until it finally ran out the door. “No more fish,” Acosta vowed after the incident, though he quickly noted that he is a devout Catholic and probably would not stop eating fish entirely. “Maybe we’ll just cook it differently,” he added. The Insurance Institute for Highway Safety reports there were more than 1.5 million animal/vehicle collisions that caused $1.5 billion in damage in 2004. About 350 crashes proved fatal to drivers or occupants, and several thousand injuries were reported. In addition, the toll on wildlife may be far greater than most data indicates. Several studies show that as many as 50 percent of all animal/vehicle collisions are never reported because no injuries are sustained and vehicle damage is minimal. In a Wisconsin study, nearly twice as many deer are collected along roadways than are listed in accident reports. In some suburban areas, the problem is exacerbated because of the explosion in the number of whitetail deer. Adding to the problem is the simple fact that more motorists are driving more miles than ever. In 2001, Americans drove nearly 2.8 billion road miles, 30 percent more than in 1990, the institute reported. Q: When is the fishing too good? A: When you get caught with 106 fish over the limit! Armed with a vehicle description and other information, Vinton continued checking the lake every other day for several weeks until the group reappeared. Then, joined by another officer, he followed the anglers to a nearby cabin. After receiving permission to search the cabin, officers found 85 sunfish in buckets and another 61 partially frozen sunfish. As a result, Jeffrey Allen Meuleners and Donald Peter Gabrelcik were each cited for possessing 53 sunfish over the limit. The citation carries a maximum fine of $1,072, restitution of $265, and a possible penalty of 90 days in jail for each man. Well, they’ll stop now. 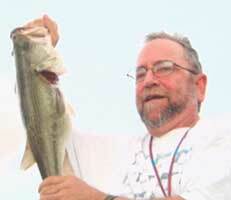 Under terms of the citation, they will each lose their fishing license for three years. Thanks to an ambitious program sponsored by the National Shooting Sports Foundation (NSSF), a total of 25 states have launched programs to recruit new hunters, and more states will be following suit in coming months. The firearms industry trade association recently approved another $500,000 for its 2005 Hunting Heritage Partnership grants, bringing its three-year total allocation to state conservation agencies to nearly $1.5 million. Administered jointly with the Congressional Sportsmen’s Foundation, NSSF’s Hunting Heritage Partnership funds projects to develop and enhance hunting opportunities and participation. Past grants helped develop print and radio campaigns, hands-on educational workshops, hunting opportunities for disabled residents, Web-based hunter access mapping systems, and more. It has been my experience that the instant that I put a lure in fresh water *all* the fish immediately call their local moving companies & relocate their homes & families to another body of water. I’ve never had that sort of trouble with hunting, but given the circumstances I want to FISH. Do you have anything with advice, legitimate advice rather than Sports Afield-style anecdotal event description, for dumbo fish-frighteners from NE Alabama?